As unlikely as it sounds, the most widely prescribed drug in the United States is made from animal waste. The drug is Premarin, an estrogen substitute manufactured by Wyeth-Ayerst and used by millions of women worldwide to ease the symptoms of menopause. Wyeth-Ayerst claims that Premarin’s “secret ingredient” pregnant mares’ urine (PMU) sets it apart from other estrogen drugs on the market. But Premarin contains another secret ingredient as well: animal suffering. For six months of their pregnancies, an estimated 75,000 mares are confined to PMU farms in the United States and Canada, kept in stalls too small to take more than a step or two in any direction. The cumbersome rubber urine-collection bags that mares must wear at all times chafe their legs and prevent them from lying down comfortably. Mares are given limited drinking water so that their urine will yield more concentrated estrogens. Hormone-replacement therapy drugs made from plant sources or synthetics more closely mimic the estrogens found in the human ovary, and at least three of the drugs currently on the market-Estrace, Estraderm, and Ogen-have been approved by the FDA for use in preventing osteoporosis. If your doctor recommends estrogen-replacement therapy, please ask for one of the many humane alternatives to Premarin. Please educate your colleagues and patients about the cruelty involved in Premarin production and the many alternatives that are available. * Ask the FDA to require Wyeth-Ayerst to list the source of Premarin in all the drug¹s patient inserts. Write: Jane E. Henney, Commissioner, FDA, 5600 Fishers La., Rockville, MD 20857. * Urge the National Institutes of Health to include other estrogen drugs besides Premarin in the Women¹s Health Initiative studies. Write: Dr. Suzanne Hurd, Director, Women¹s Health Initiative, 2 Rockledge Center, Bethesda, MD 20892-7952. * Check the formulary where you work to make sure it lists synthetic and plant-based estrogens, and speak out if it doesn¹t. * Call your health insurance provider to ask if synthetic and plant-based estrogens are covered by your program¹s prescription drug plan. If Premarin is the only estrogen drug covered, please contact PETA and write a letter of complaint to the president of the insurance company. * Write letters to the editors of your local newspapers to educate others about Premarin and its alternatives. Readers will value and trust your opinion on this issue. Contact PETA for a list of synthetic and plant-based alternatives to Premarin at 501 Front St., Norfolk, VA 23510; 757-622-PETA; www.peta-online.org. And finally, stop supporting Monty Roberts! 1. Wyeth-Ayerst, “Recommended Code of Practice for the Care and Handling of Horses in PMU Operations,” June 1, 1990. 2. Thomas, Don, “Horse Urine Farms Scrutinized,” The Edmonton Journal, March 18, 1995. 3. Russell, Frances, “Wall of Silence Hides PMU Industry,” Winnipeg Free Press, June 24, 1995. 4. World Society for the Protection of Animals, “Millions of Women Taking Premarin Cautioned,” news release, September 28, 1995. 5. American Association of Equine Practitioners, “AAEP Officials Inspect PMU Farms,” AAEP Report, July 1995. 6. Greene, Laurie H., and Don Borchert, “Tour of PMU Barns, Conducted March 21-25, 1994,” United States Department of Agriculture memo. 7. Jones, David, “The Price of a Wonder Drug: What Happens When the Medical Men Have Got What They Came For,” Today, January 17, 1995. 8. Read, Nicholas, “The Ark,” The Vancouver Sun, February 25, 1995. 9. Russell, Frances, :”New Hormone May Close Gate on Urine Farms,” Winnipeg Free Press, November 14, 1995. It does not require a majority to prevail, but rather an irate, tireless minority keen to set brush fires in people's minds. Persecution is the first law of society because it is always easier to suppress criticism than to meet it. 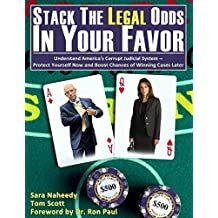 Understand America’s Corrupt Judicial System—Protect Yourself Now and Boost Chances of Winning Cases Later. Website Managed by Laurel Connor. CitizensForJustice.org © 2019-All rights reserved.